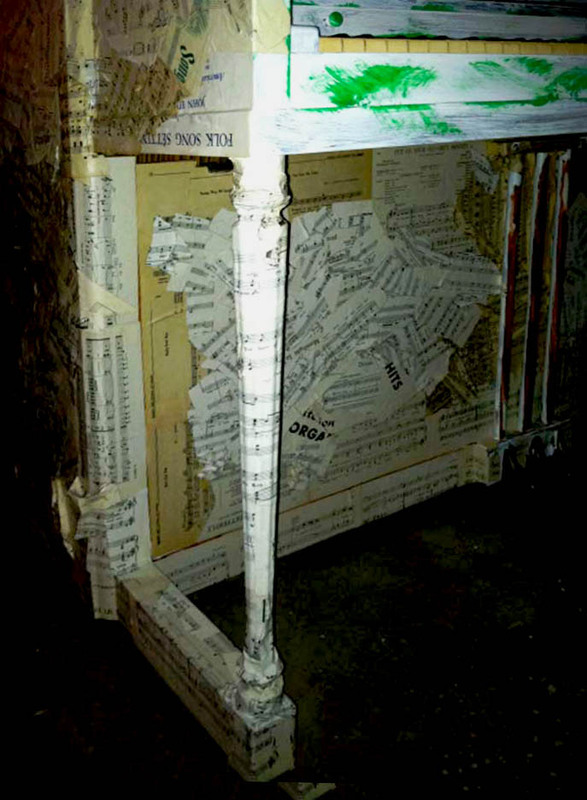 … some primer, a little paint, 15 discarded music books, 1/3 gallon of glue, and created one of the 88 pianos re-envisioned by artists for Sing for Hope (a public arts organization in NYC). 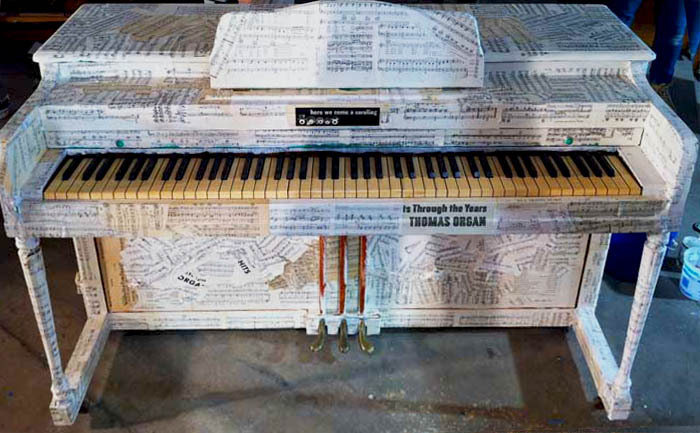 The artist responsible for this piano is Art and Design Dean’s Office staff member Amy Bauer. In February Bauer submitted a proposal to be chosen as a Sing for Hope artist. 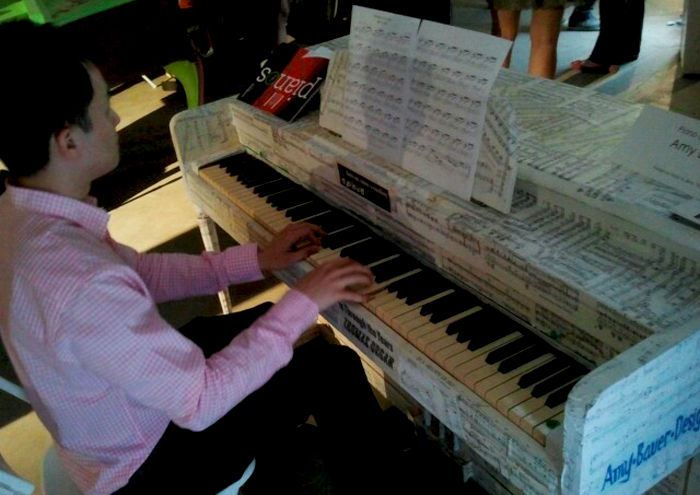 She envisioned tearing pages from vintage music books and covering an entire piano with them. It’s in keeping with an artistic process that involves using discarded paper for works that have nostalgic and recycling themes. In March, Bauer received confirmation that her proposal was accepted. April and May were spent working on her masterpiece. Until June 15 Bauer’s piano will remain outdoors for anyone to admire and/or play. The piano will then be donated to a school or community center in NYC. Current location: On the porch of the Van Cortlandt House Museum in the Van Cortlandt Park in the Bronx. Sunday, June 16 all of the pianos will be located at the Josie Robertson Plaza at Lincoln Center for a free all-day celebration from 11:30 a.m. – 8:00 p.m.
For more information about Amy Bauer, her piano and art work visit: www.amybauerdesigns.com. 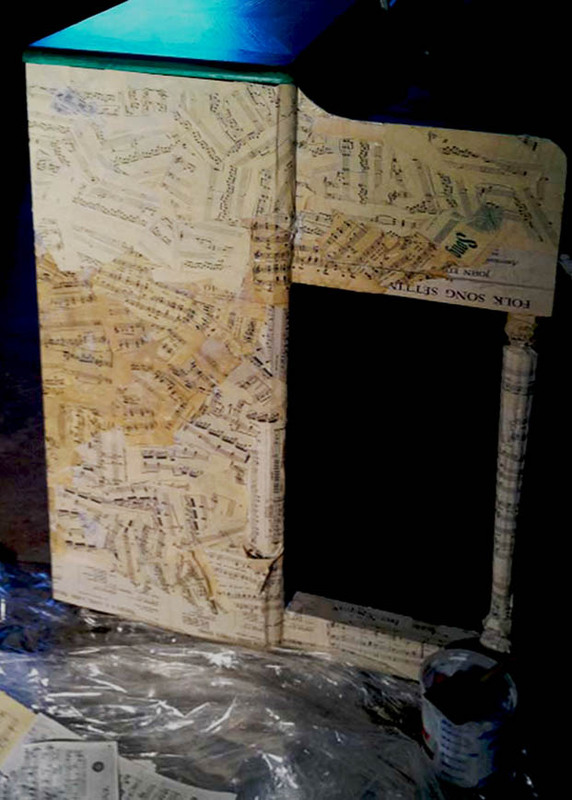 This entry was posted in A&D staff, FIT staff & faculty and tagged Amy Bauer Designs, paper, piano, sheet music, Sing for Hope, Van Cortlandt House Museum. Bookmark the permalink. Thank you so much Eileen! That really means a lot. This is just so beautiful! Wish I could play that.